Rugged construction. Desktop or wall mountable indicator. 1" backlit LCD display. Color coded buttons with positive click feel, and simple, quick operation. Keys are ON/OFF, PRINT/HOLD, UNIT, TARE/ZERO. 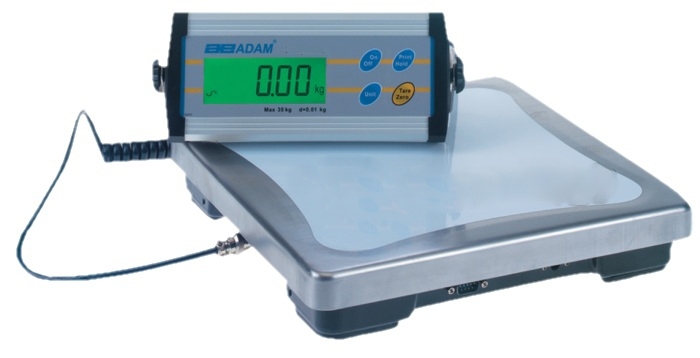 Weighing units are lb, kg, oz, & lb/oz. Bi-directional RS232 interface allows connection to printers or computers. Using standard commands users can request gross, net, & tare weights be sent automatically. Alkaline or AC operation (6) AA batteries not included. AC adapter included. Briefcase style case available please call for details. Shipping Info: 25” x 15” x 6” – 20 lbs.